A story about Internet streaming royalties ran today in BetaNews. ...citing passages from over two years of testimony from members of the recording industry as well as representatives of Internet radio, CRB Judge James Scott Sledge went out of his way to shame apparently everyone for not being much of a help. For example, representatives of the Digital Music Association (DiMA) were chided for, at one point, not being able to provide a clear definition of "streaming." Last February, the judges had already concluded that the definition of "streaming" was a matter of fact, not law. So when asked to provide facts in testimony the following May, Rhapsody America general manager Alexander Kirk stated it could really mean lots of things: "I mean, one of the wonderful things about computers on the internet is they offer you a number of different ways to do things," reads the CRB's citation of Kirk's testimony. "And streaming can encompass a whole range of behaviors." This is only a tiny piece of my testimony, and it is presented here out of context (my written statement is here, all related documents here). The reason I was asked to talk about streaming has to do with the calculation of royalties and negotiations around same. So details are very important. I said "streaming can encompass a whole range of behaviors". I'll expand here. "Streaming" can mean a bunch of different underlying technologies, but generally only one type of "experience". Most people think of "streaming" as an experience differentiated from "downloading". When downloading, you're acquiring a local copy of the file, which you may then play, copy, store, delete, etc. But your primary goal is to get that local copy of the file. What you do with it after that is secondary. When streaming, you're interested in experiencing the file (watching, listening, etc.) and you are not particularly interested in keeping a local copy. As far as you are concerned, there is no local copy made. Most streaming experiences are designed to provide this impression. But in point of fact, very few modern streaming technologies open up a direct connection between you and a single central server and pass bits directly to your machine. There are various caching stages in between. Your OS may cache some or all of the file in RAM or on the hard drive. Your player or browser may cache some or all of the file in RAM or on the hard drive. There are many technologies that look and feel like streaming to the user, but are actually downloading. There are other technologies that sit somewhere in the middle. The example I kept coming back to was YouTube. Nominally, it's a streaming service. You play it, it's gone when you're done. But if you pause a video, it will download (or buffer) the entire video in your local machine's memory. Guess what? Now it's a download (under some definitions). So what type of service is YouTube? That's why I refer to "streaming experiences". The danger with defining streaming as a technology rather than an experience is the technology to enable the experience is continually changing. Especially given the glacial pace of lawmaking, you end up with a bunch of laws that don't end up being relevant to the issues at hand. You also run the risk of legally boxing in "streaming" so tightly that nobody uses it, and thus all the discussion is for naught. Also, I'm not the "Rhapsody America General Manager" - I'm the "General Manager of Product Management for Rhapsody America". The RA GM is a big deal. I'm just a guy who works there. Soon I will post about my experience testifying for the Copyright Review Board. It was fantastic. Special thanks to Chris Randall of Audio Damage for the tip. 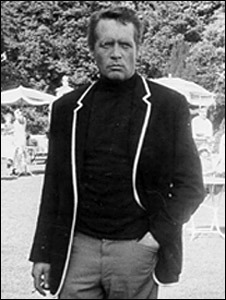 Few things have affected me as profoundly as "The Prisoner", his visionary, bizarre television series. WIRED has a good article, and this interview is also worth a read whether you're familiar or not. I remember seeing the Prisoner on public television before I was a teenager. I don't remember much about those viewings beyond vague impressions - I asked my parents many questions (I did that a lot). I remember the ending of every show - his face silently flying up on the screen as bars slam shut with a giant, echoing noise. But like many things from childhood, those vague impressions left a mark, and by the time VCRs and cable TV (late to Northern Virginia) were commonplace, I spent every weekend scanning the TV listings to see if it was airing again. Eventually in the summer of 1990, PBS ran some of them and when I could remember to set the VCR and it cooperated, I got a few grainy episodes. College is probably the best time to see The Prisoner, as its references and ambiguity resonate more. Plus you can walk around the campus (its own little village) saluting people and grimly saying "be seeing you". Which I did. If I had found a dark blue jacket with piping, I would have worn it with white Keds. I even joined "Six of One" for a while. Finally all the episodes were released on DVD, and I bought the set. Not every episode is perfect (McGoohan wanted to do 10, they made him do 17 to get a deal), but even the lamer ones feature his steely determination and undermining of the genre while simultaneously hewing to its conventions. He never uses a gun. There's always a stagey-looking fistfight. But often as not, he gets the crap beat out of him by the goons in the stripey new wave/French t-shirts. He's smarter than everyone else. They can't break him. But he never escapes. Even when he escapes, he can't escape. The fix is in, and everyone in the world seems to be in on it. The show makes me laugh and makes me very sad and cynical. What more can you ask for of art? It also serves as an interesting period piece. I can't imagine anything this creative and subversive ever getting on television again. The "election" episode alone is worth the price of admission. Its title, "Free For All", is the type of dual meaning McGoohan (who wrote it and several other episodes) laced throughout the series. McGoohan saw the world as it was and as it could be in positive and negative futures. A cranky guy, cranky for the right reasons. Also did fantastic acting in "Hell Drivers" and "Ice Station Zebra". "We're run by the Pentagon, we're run by Madison Avenue, we're run by television, and as long as we accept those things and don't revolt we'll have to go along with the stream to the eventual avalanche...As long as we go out and buy stuff, we're at their mercy. "We all live in a little Village...your Village may be different from other people's Villages, but we are all prisoners." Technology and technological friction created the music business. New tools took what had been ephemeral and transient – music – and captured, tamed, and sold it, caged in a perforated paper roll or pressed into a platter. Those tools were exotic, expensive and rare. Thus, access to the ability to record and duplicate music was controlled. Even as technology enabled the music business, technology began to shape and change music in ways great and small. Most of the 20th Century’s points of musical interest come from this shaping and changing, ranging from Thaddeus Cahill’s Telharmonium to musique concréte to synthesizers and the computerization of music. The technology also disrupted the existing music business. In 1906 John Phillip Sousa wrote a magazine article called “The Menace of Mechanical Music.” The piece was written for two reasons (one of which I’ll address later). The first was a public plea for composer’s copyrights – piano rolls weren’t considered music and thus ineligible for royalties. Piano roll manufacturers were creating scores of piano rolls and selling them, and composers got nothing! “Piracy” of music like this was impossible to stop – a talented musician can hear a composition once, play it from memory and transcribe it – that’s how Mozart famously “stole” a mass from a church. There was no way to stop it. The piano roll situation was especially bad for composers since people who had “reproducing pianos” and bought piano rolls would likely not buy the piano sheet music – why did they need a score for a human when a machine would be doing the playing? Partially due to Sousa’s public and political lobbying, copyright law was changed. A significant result was creation of the mechanical royalty. Mechanical royalties in the USA have two very interesting qualities: they are compulsory licenses and they are offered at statutory rates. A compulsory license means the copyright holder cannot refuse to grant someone a license. Surprisingly, this was something requested by the composers, who were concerned that one monopoly company (Aeolian, the Apple of their day) would buy up all the rights and control the market. As a result, the laws were written such that once a composition has been publicly released, anyone can get a license to make a mechanical copy of the composition – the copyright owner is compelled by law to grant the license. “Statutory rate” means the cost of that license is set by Federal law. The rate is currently about 9 cents per copy. It’s a per-copy created rate, which means even if you make 1,000,000 piano rolls and then burn them all, you still owe royalties. This prevents the rights-holder from creating a monopoly and has the side effect of treating all compositions equally. The compulsory licensing of compositions at statutory rates is how many composers make money – those royalties are an essential component of the music business. All of that was required because people realized it was impossible to stop people from creating copies of compositions – if I sing a melody to you, you could sing it right back to me. Or to your friends later. Or in a concert hall. From an economic perspective, these radical changes in law had the effect of changing the incentive structure – if you were required to allow people to copy your work, and they had to pay you a fixed amount of money if they did so, the winning strategy is to actively work to get people to copy your work! The music publishing industry started to dramatically expand in terms of size, revenue, and reach. Sound recordings complicated things. Of course, sound recordings were much more difficult to duplicate, and nearly impossible to duplicate well without access to the original master and/or lots of exotic, expensive, and rare equipment. Sound recordings are different from compositions, and so is the copyright law that refers to them. Composing had been around for hundreds of years, and people had ample time to consider the business thoroughly. Sound recordings were new, and the record companies (then and now, typically the owners of sound recording rights) had no desire for government regulation of the fruits of their investment in the nascent business and expensive equipment. So no compulsory licenses at statutory rates. The record companies effectively controlled the reproduction of sound recordings. Or at least, they did until the digital era. Digital recording brought tremendous benefits to the music business. Better sound quality and the ability to re-issue and re-sell almost every record they had previously sold. The CD helped lift the music business out of its early-80s doldrums and into a prosperous period. The CD was the ultimate reproduction format. The CD was also the beginning of the digital revolution. A few short years after the commercial launch of the compact disc, recordable CDs hit the market, alongside consumer CD burners. Personal computer technology started its rapid evolution. Processors got faster. Storage grew bigger. Connections between computers grew and began to accelerate. The Fraunhofer Institute created a perceptual data compression scheme known as MP3. And then in 1999, a college student created Napster, which wrapped an easy interface and massive connectivity around what was previously a complex affair – swapping digital files of music on the Internet. Suddenly, almost literally overnight, copying music had become effortless. A click, and a copy was made – of both the sound recording and the underlying composition. And there was no way to stop it. In 2001 the first version Rhapsody launched. A week later, Apple introduced the first iPod. These two products embody the digital music business. My colleague Tim Quirk says “iTunes is yesterday disguised as tomorrow.” iTunes sells digital singles and albums, in a no-frills, no-excitement vending machine available online. The iTunes Music Store was started primarily to combat accusations that iPods and iMacs encouraged music piracy. Today, iPods hold thousands of songs, but the number of purchased songs per iPod continues to remain around 20.
iTunes is not fundamentally different from buying CDs in a record store. The pricing is about the same. It is certainly convenient, and the selection is immense relative to any physical CD store. But there are drawbacks – the audio fidelity has been compromised, files lack CD booklets and liner notes, and the listeners who purchase files can’t sell them when they tire of them. And until very recently, all the purchased music only played on Apple’s portable devices. When iTunes launched, its sales were negligible relative to the CD business. 8 years later, iTunes is the number 1 music retailer – not Tower (now gone), not Best Buy, not Wal-Mart. And Wal-Mart has been allegedly contemplating removing CDs from its stores for a while now. Of course, the record business is now actively working to undermine iTunes, as they see iTunes’ success not as their potential salvation, but as iTunes having “built a business on their backs” – a phrase they’ve applied to radio, the sellers of record players and CD players, MTV, and just about everyone else involved in their business ecosystem. Rhapsody offers a different model. Users pay a monthly fee for unlimited listening, not ownership. It’s a business model relatively new to the music industry, though Rhapsody does owe a spiritual debt to Thaddeus Cahill and the Telharmonium. Rhapsody faces many obstacles, including the incredible (and well-deserved) success of Apple’s products. Another challenge Rhapsody faces is rights clearances. Getting publishing rights is relatively easy – the publishing companies have built their businesses around making licensing easy. Music publishing companies have been licensing their content for a long time – it’s what they’re incented to do by the licensing structure. The more they license, the more copies are made, the more money they stand to make. Getting the rights to sound recordings has been and continues to be a challenge. Every label requires separate negotiations. Labels have been poor custodians of their intellectual property and frequently do not know whether they have the rights to enable Rhapsody’s streaming (the publishers are better but also far from perfect). Newer music frequently contains samples of older music, which exponentially complicates matters. And the labels themselves are bound by the same rules – they have to be sure about whether they have the rights to make copies in the first place, and in many cases, the costs of locating the original contract with the artist, having an attorney read the contract, and tracking down the rights holders becomes prohibitively expensive – a money-losing proposition. It’s easier and less costly to let the work remain out of circulation. So a good deal of music remains unavailable on Rhapsody (and to a lesser extent, not available on iTunes) - but it can be found on the “black markets” of the Internet – frequently with complete scans of the CD booklet and full audio fidelity. And for free (if you don’t mind breaking federal law and “stealing” from artists). The music business has seen sharp declines almost every year since Napster launched and digital file trading went mainstream. The black market is not solely responsible – there is far more competition for the entertainment dollar. Music fans now spend money on video game hardware and software, mobile phone hardware and software, video, and ironically, a new iPod. And copying music is so widespread that some of the newest generation of music fans believe music is, or should be, free. The losses for the last several years have been severe – 5-20% declines, year after year. • Total physical and digital units sold down by 8.5% in 2008. • Physical units dropped by 20% (363 million units sold). Atlantic Records (part of the Warner Music Group) was the first major label to have digital revenue exceed CD revenue, and it happened in 2008. The “Classical” genre dropped by 22%. The average per-capita expenditure for music has been in decline, too – it’s down to about $36 per person. But oddly, there is more music available than ever before – recordings long out of print can be found, shared, and heard. Nearly 35,000 albums were released last year, both new and old music. The dramatic democratization of computer music technology has placed tools of unprecedented power for composition, performance, and recording in the hands of the masses. Unfortunately, most of these are clearly “consumer products” and the fastest-growing are the ones most toy-like and least instrument-like. The continuing simplification of popular music is an inevitable and audible result. The Internet has democratized the means of distribution. Anyone can make and distribute their own music now, as well as those of others. That doesn’t mean it’s going to all be any good. The tide of amateurism has definitely receded – where some degree of musical proficiency was once considered an essential part of education, today music education is in decline. Most people cannot play instruments at all. They do not sing on a regular basis. And perhaps most appallingly, do not think they should be even trying to create or play music because they’re not “professionals”. Most are content to listen to the latest “professional executants” on their new mechanical device, plugged into their headphones, increasingly isolated not just from the rest of the world, but from each other. In Sousa’s time, nearly every home had a parlor – a room where a piano or other instruments were available. People regularly visited homes to make music, singing together, playing together. It was a social activity, and whether or not you were “good at it” was less important than the participation. Professional musicians still existed, but nearly everyone was an amateur musician. 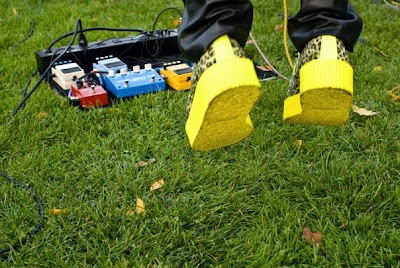 Perhaps the music business is the anomaly – a phenomenon brought into being by technology and technological friction. Technology created the music business and it continues to guide it and shape it. Only now, it’s shrinking it, or putting it in a more appropriate role. I have a hard time believing today’s music business will survive. I expect the major labels will shrink to simply managing established rights catalogs with the occasional “blockbuster”/"sure thing" pop record aimed at the mass market and lowest common denominator. The music business will be much smaller, and only a part of our larger communal music experience. People have been making music together longer than they have been speaking, writing, and trading currency. They’ve only been selling recordings to each other for a tiny amount of time. The desire is clearly there. Karaoke, Rock Band, and Guitar Hero provide pale imitations of a community music experience and remain popular activities around the world. It’s no coincidence that major social events (marriages, funerals, church, etc.) all typically feature group musical activity. Research has shown that singing in groups has beneficial health effects. Perhaps instead of agonizing over the shrinking music business, we should focus on the opportunity to take music out of the headphones and speakers, off the stages, and back into our homes and communities. Spend less time worrying about the few currently making music and more time worrying about the many who aren’t making music.